Prepare to be mesmerised in the heart of Truc Lam Zen Buddhism with Legacy Yen Tu, MGallery by Sofitel. 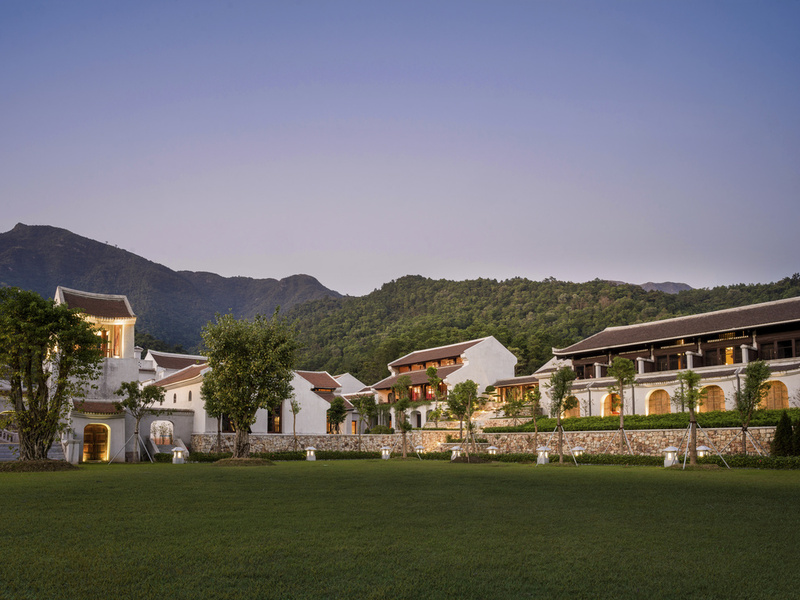 Located in Uong Bi City City which is just 1 hour driving from Ha Long Bay and Cat Bi Airport, its 13th century design sets the scene for your holiday, meditation or incentive trip. The hotel is close to Yen Tu mountain and Yen Tu village with trekking and adventure activities available. Please note during the Soft-opening the swimming pool, gym and Wellness areas will not be available. Upper floors feature balconies facing the mountain or village. Ground floors feature exclusive indoor terraces facing the mountain or village. One restaurant and one bar offer various choices of Vietnamese and international dishes. DELUXE ROOM, 1 King Size Bed, Village View. The hotel features a rustic interior, comfortable ambiance as well as healthy local and international cuisine with a focus on vegetarian dishes. Guests can choose to dine indoors or outdoors for their afternoon tea, snacks, coffee, evening time cocktails and entertainment. It features views of the village.